Your family will have a blast with these crafts and delicious treats! 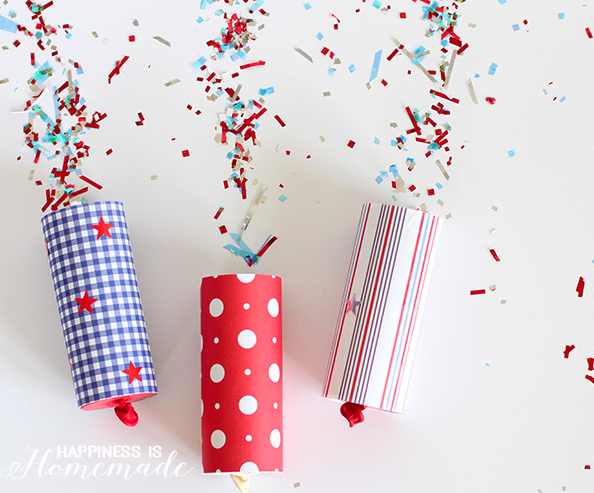 These homemade confetti poppers are a TON of fun for kids, and adults too, of all ages! They’re quick and easy to make, and they launch confetti high up into the air with a satisfying “POP!” The best part is you can decorate them however you want for any parties, BBQs and other fun occasions. 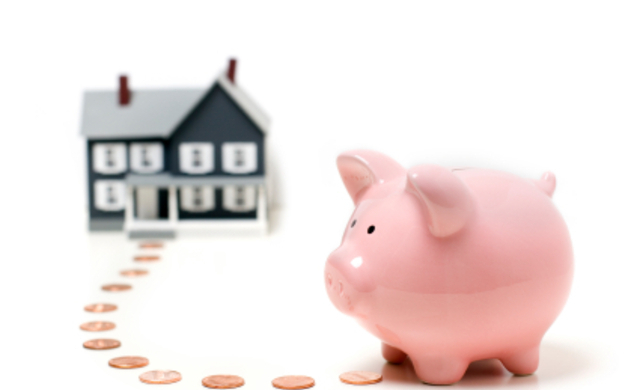 This project and picture was found on Design Dazzle. For Decorating – patterned paper, stickers, glitter, etc. For Confetti – metallic tissue paper and/or gift bag filler, paper, etc. This drink was in a Family Fun magazine a few years ago. 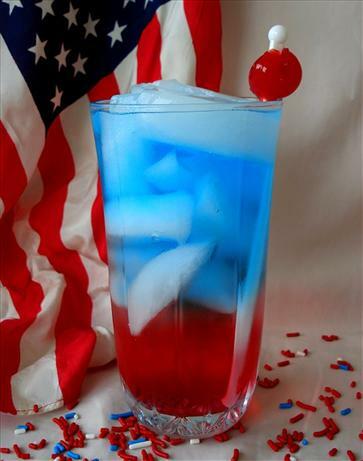 When poured carefully, this makes a red, white and blue drink for any star-spangled occasion. 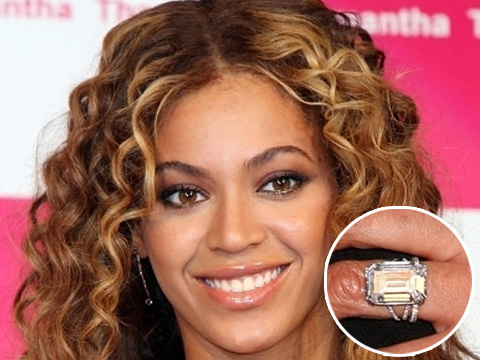 It separates by using the drink with the highest sugar content on the bottom, and the least on top. Image and recipe found on Food. 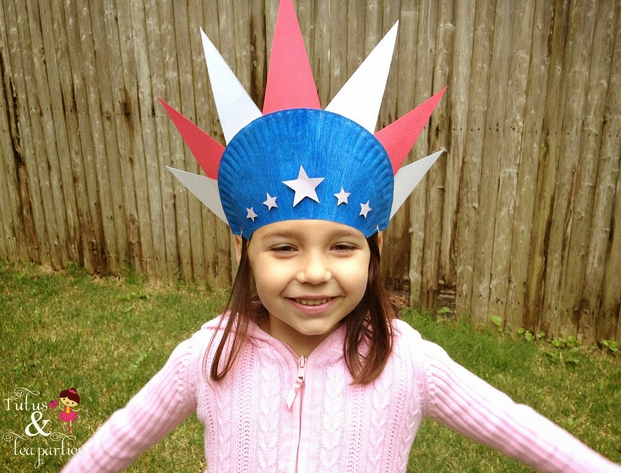 This paper plate lady liberty hat is perfect for the kids to make and wear for any patriotic holidaty! This craft was found on Tutus & Tea Parties. Directions- head to Tutus & Tea Parties. 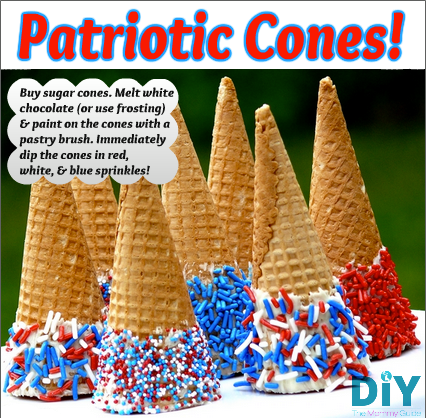 If you are planing on serving ice cream at your BBQ, why not make it a little more festive with these Patriotic Cones. These take only minutes to put together and will look great as your table centerpiece! We garuntee everyone will love eating them! This recipe was found on Noble Pig. Dicretions- head to Noble Pig. 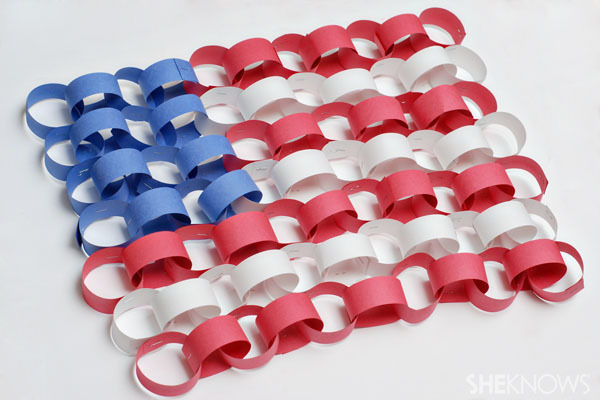 This paper chain American flag is so easy to make with the kids and will look awesome hung anywhere! This craft and picture was found on She Knows. Directions- head to She Knows. 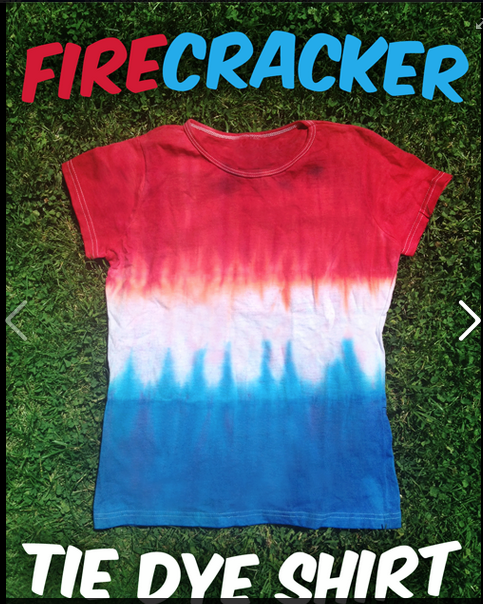 Just in time for the 4th of July, we've made a super cute Firecracker popsicle-inspired top! This craft and picture was found on I Love to Create. 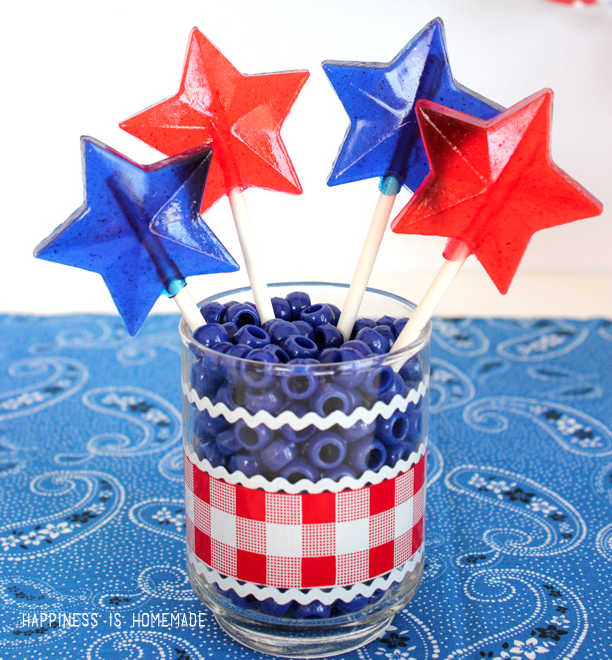 DIY red, white and blue hard candy and patriotic star shaped lollipops. 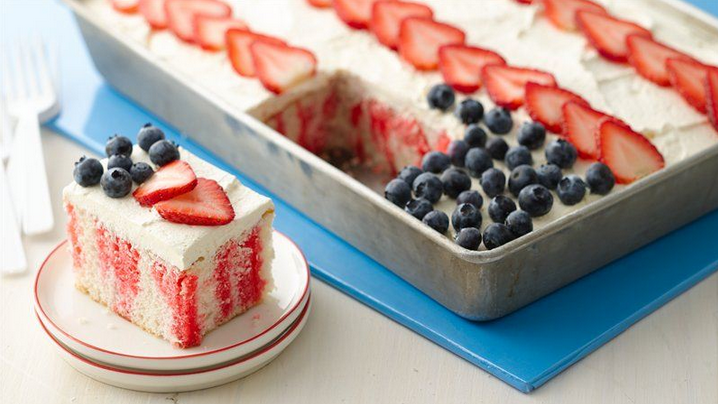 This recipe and picture was found on Happiness is Homemade. Directions- head to Happiness is Homemade.